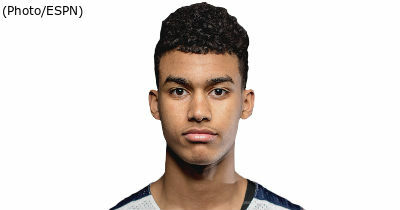 With the news that Syracuse recruiting target Eric Ayala will remain in the 2018 class and not reclassify to 2017 as SU coaches had hoped, it becomes increasingly likely that Syracuse will enter the 2017-2018 season without a consensus top-100 freshman. It is still possible the Orange could land SF Jordan Tucker, whose ranking ranges from No. 40 at ESPN to unranked by Scout. SU is also thought to be in the mix for consensus top-50 PG Tremont Waters, although it is unclear whether the coaching staff will make a strong push for the former Georgetown commit. Either recruit would add much-needed depth to a thin roster, but the odds of landing even one of the two are no greater than 50-50. Should Syracuse fans be worried? About the depth at guard – probably. About the rankings of SU’s three incoming freshmen who have already signed their letters of intent – no. Recruiting rankings are an inexact science. Fans and analysts alike tend to gravitate to whichever recruiting service’s ranking of a player fits their pre-existing notions or narrative. This makes it easy to conclude that a team has landed a great or terrible incoming player, if that’s what you want to believe, but it obscures the variety of opinions among even the best analysts about the best players. Just take a look at the 2016 class. Most experts agreed that Josh Jackson, Harry Giles, Lonzo Ball, Jayson Tatum, and Markelle Fultz were the five best players. But looking specifically at Ball, Van Coleman at Hot100Hoops.com was the only prominent analyst to rank him No. 1, while Scout.com had him all the way down at No. 7. Fultz was ranked as low as No. 9 by Rob Harrington at PrepStars.com. The variation is even more substantial at the bottom of the rankings. This became evident to SU fans this week when incoming freshman O’Shae Brissett shot up the 247Sports rankings from unranked to No. 48. He remains unranked in just about every other ranking of note. But the fact that Brissett is unranked by a service like ESPN doesn’t tell the whole picture. Brissett is doing a post-graduate year at the Athlete Institute, and ESPN does not rank players who have already graduated. 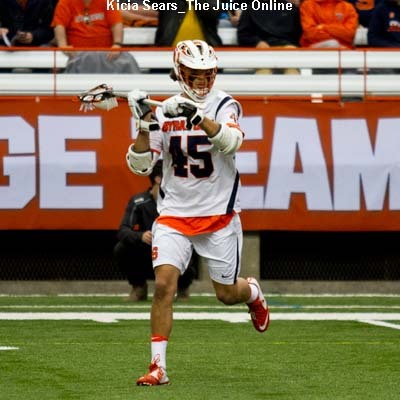 The point is that SU’s incoming freshmen are likely to be good players despite their rankings. The reason is that Syracuse’s coaching staff has a good track record for picking out talent. Much has been made recently about Syracuse suffering a “decline in recruiting.” You can make this argument by pointing to players like Kaleb Joseph, Chinoso Obokoh, Ron Patterson and BJ Johnson, each of whom transferred from the program, or to players like Tyler Roberson and Frank Howard who have not lived up to expectations. It is a compelling argument, but there are examples of players like this throughout SU’s history. Two years after winning the National Championship, SU’s recruiting class consisted of Josh Wright and Dayshawn Wright, both of whom ended up leaving the program without a notable impact. Louis McCroskey from the class directly following the championship also ended up transferring, and a few years later came Devin Brennan-McBride, Sean Williams, and Mookie Jones. These “misses” ended up hurting the program, just as the more recent ones have hampered SU in recent seasons. 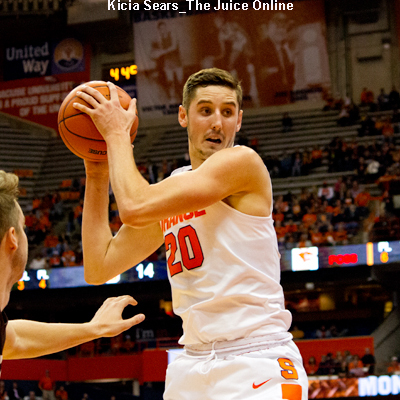 The biggest difference from the last three years is that the targets that SU has “hit,” such as Tyler Ennis, Tyler Lydon, Malachi Richardson, and Chris McCullough, have all departed early for the NBA, leaving the team bereft of depth. So what SU is suffering through currently is not so much a decline in recruiting as the confluence of an unusually high number of players leaving the program for both the NBA and other reasons. This results in a worse product on the court, making it impossible to hide the recruiting misses that are inevitable for even a top program. SU continues to recruit highly ranked recruits, despite Jim Boeheim’s reluctance to travel to watch and visit recruits as much as he once did. If SU continues to swing and miss at the big ones, as they did in the 2017 class with 5-star PG Quade Green, then perhaps there will be reason to worry. But one or two players does not make a trend. As for next year’s freshmen, don’t sweat the recruiting rankings. SU has had plenty of low- or unranked players who went on to become good players. This list includes Brandon Triche, Andy Rautins, Wesley Johnson (who was unranked as a recruit, although he transferred to SU). If there is one thing those players have in common it’s that they started on two of the three best Syracuse teams in the last 17 years.